Energy efficiency has captured national attention for the past decade, and rightly so. But much of the low-hanging fruit is gone – light bulbs have been changed, homes have been weatherized and smart thermostats have become so hip that Google paid $3.2 billion for thermostat-maker Nest. The next frontier is to use technology to improve the way our overall grid functions, an idea I like to call power efficiency. A software engineer by training, I’ve always been fascinated by the prospect that we can use technology as a substitute for more hardware. The challenge is to apply technology to the biggest machine in the world, our electric grid. California led the way by passing the first statewide energy storage directive in the country last fall. Governor Cuomo has begun championing energy storage in New York. Just last month the U.S. Department of Energy released a Grid Energy Storage report outlining the challenges and opportunities in the energy storage marketplace. 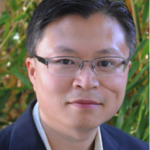 Vic is Chief Executive Officer of Green Charge Networks, an intelligent energy storage company based in Silicon Valley. Since 2009, Vic led the company through its US $12 million smart grid project with Con Edison of New York, the US Department of Energy and Fortune 500 companies on a ROI-driven energy storage GreenStation with software intelligence to empower commercial and industrial customers to save on their energy bills. With more than 15 years experience in software development and complex system implementation, Vic is passionate in applying software to improve power efficiency. 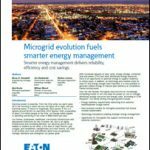 Are We Missing the True Worth of Microgrids?